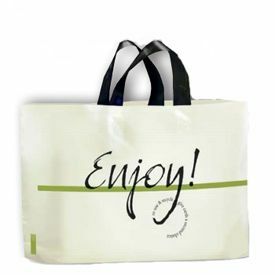 Get your hands on the new customer Ameritote high density bags with a personalized imprint of the size of your choice. 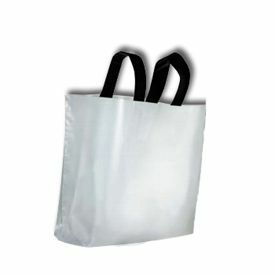 These bags will carry the load of your customers safely. 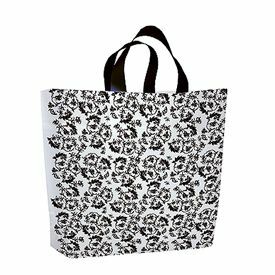 Now showing the options for "2.25 Mil" and "1 Color 1 Side - Flexograph Print"
22 X 12 + 6"
Do you want to end you dependence on imported shopping bags? Are you interested in innovative upscale packaging? 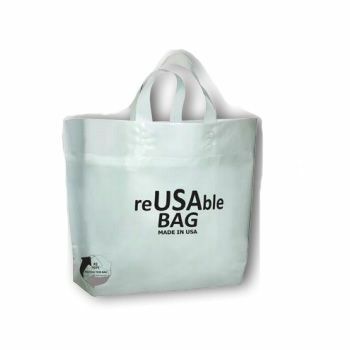 Then look no further than Ameritote's custom high density bags. These bags can stand upright without the need for special cardboard inserts, thanks to their distinctive wide bottom gussets. There's no more need for long lead times, or for warehousing commitments. 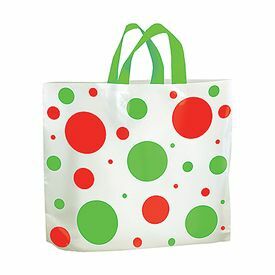 These all-American shopping bags are the perfect economical alternative to imported shoppers. They're also extremely easy to post print and hot stamp. 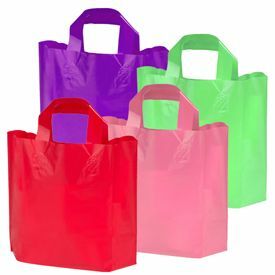 The Ameritote Superwave bags are three colors. You can order more colors for additional pricing.